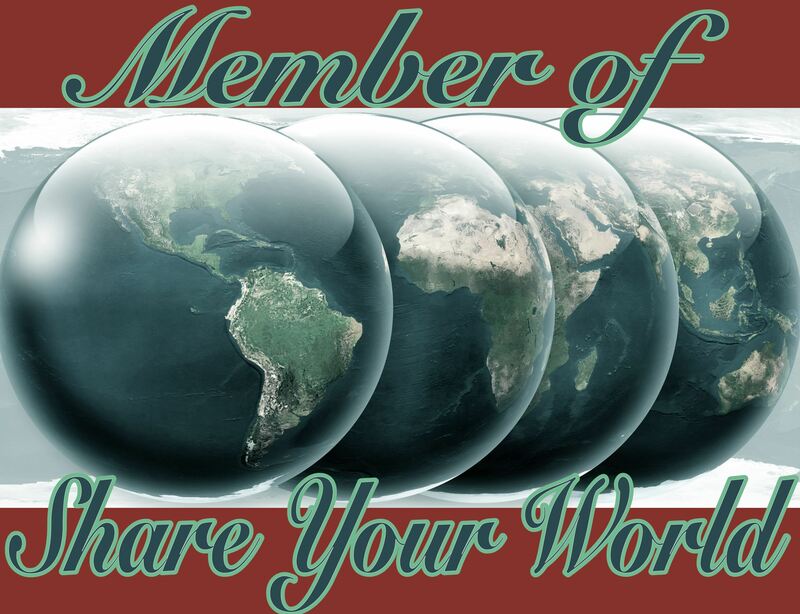 Here’s my post for Cee’s Share Your World for this week. I don’t have any pets at the moment. If I were to get a pet it would be a cat. Cats are pretty independent and since I’m out at work all day, it would have to be a pet which could look after itself. Plus, everyone on the interwebz loves cats so I could set up a camera in the hopes I could get a funny video or a meme or two out of it :-). What was or is your favourite cartoon? When I was little I enjoyed “StarFleet”, though that might have been puppets rather than a cartoon. Also “Battle of the Planets”. G-Force Fiery Phoenix go! Yay. When I was a bit older, “Dogtanian and the Three Muskehounds”. 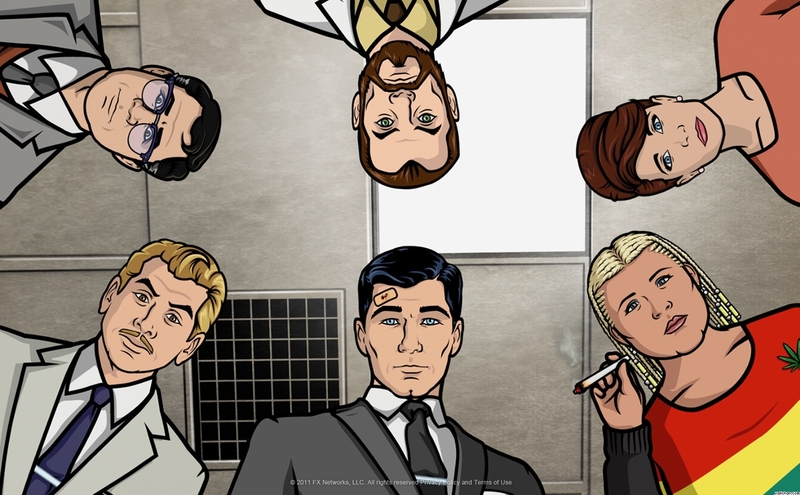 Now that I’m all growed up, pretty much the only cartoon I watch (and coincidentally am currently binge-watching on Netflix) is “Archer”. Because it’s awesome. I can highly recommend it. However, if you’re easily offended or indeed offended by anything at all, don’t watch it. You have been warned. I wear socks at home. I have a pair of slippers but they’re pretty knackered so I don’t wear them much. If I’m going up into the loft I put on trainers so that I don’t slip on the ladder and end up lying in a crumpled heap until someone notices I didn’t turn up for work :-(. The occasional trip is nice but for preference I like to stay at home. Well done, Ali. For goodness sake be careful going into the loft. None of us want you to turn into a crumpled heap at the bottom of the ladder. Be sure to take your cell phone with you so you can call for help if needed. I’ve always believed in “Better safe than sorry”. Actually I do always pop my mobile in my pocket whenever I go up there. When I was younger I was fearless, now I take every precaution! I tend to like cartoons made for the non-kid crowd, like King of the Hill, Bob’s Burgers, American Dad, etc but I have never seen Archer before. I guess it has just flown under my radar when it comes time for me to pick a new show to watch. Ooh, I forgot about King of the Hill, I love that! That is always an issue. It wouldn’t be fair to put the poor thing in a cattery or just have a stranger (to the cat) come round once a day. I like your thinking on which pet to get! Battle of the Planets… I have vague memories of that cartoon from my youth, and I still remember how the opening theme music started up! Battle of the Planets was a long time ago! I like how cats can look after themselves. Because I’d be too lazy to walk the dog. We have a ladder to our “attic” which is really a crawl space where we stow suitcases and Christmas decorations. Every time I climb that ladder, I’m sure it’s going to kill me. It’s waiting. I can tell. I have to carry the ladder up the stairs, balance it against the hatch and then carefully make my way up, and the opening is very small! And have you noticed that loft access is always right at the top of the stairs (in the UK anyway)? That’s a long way to fall. Good to be connected again. I have been away for weeks. I will try to catch up with your writings soon. My next pet will be a cat. Dogs take a lot of time- but they LOVE you a great deal. Not so much with cats. I am looking forward to be highly offended with Archer. I haven’t seen it. I, too, now take my phone everywhere. At some point Archer will offend pretty much everyone I suspect. But it’s highly addictive and hilarious! I’ll try not to end up in a heap. I don’t have to go up there much! Quite right. That’s a good warning for Archer – if you’re offended by anything don’t watch it, haha. My boyfriend likes that show, so I’ve seen it a few times. It’s humor…isn’t really to my taste. But I won’t knock it. 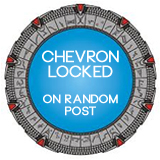 I thought I’d better put a warning in – I didn’t want shocked bloggers descending on me! Did you see The Musketeers on BBC1? I thought it was a great laugh – nice and actiony without having to think too hard.